Wood is a great ally of cozy lighting. It is a material that is hard to mold, a challenge that the Ginger collection neatly resolves. The combination of sheets of wood, paper and resins pressed together under high pressure achieves a laminate that appears almost entirely flat, which discreetly lights up spaces with indirect light. The Ginger collection has been expanded over time to provide solutions to different lighting needs, and is available in pendant, table, wall, and floor lamp versions. This time, we are adding a new, smaller suspension lamp, a portable table lamp, another version of wall lamp with a movable arm, and three different sizes of flush-mount wall lamps. 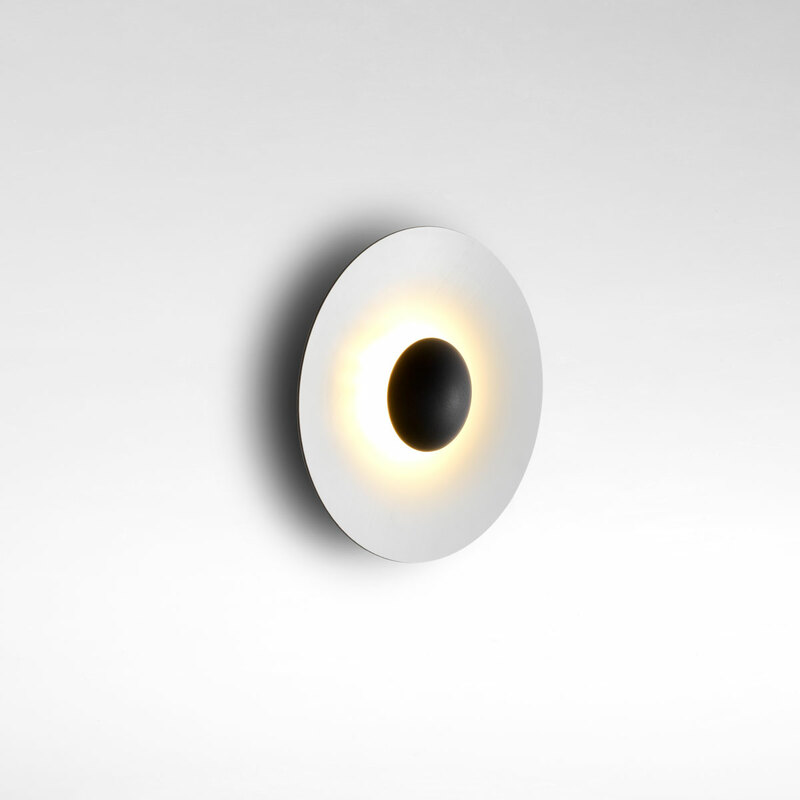 These wall fixtures, which are formally extremely simple, are manufactured in three sizes. They also come in a set of two or three pieces to meet the qualities and needs of the space. The inside of the lampshade is offered not only in white but also in an oak and wenge finish, yielding different shades of light.